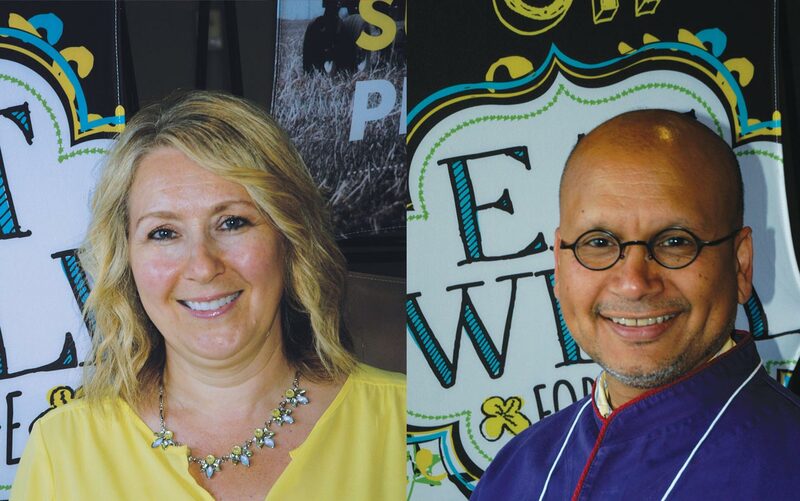 Cookbook author Raghavan Iyer and healthy-eating advocate Patricia Chuey presented at a Canola Eat Well event in Winnipeg in June. These two food influencers and canola oil ambassadors show why grower investment in Canola Camp and Canola Eat Well is so important to the Canadian canola industry. Left: The People’s Dietitian Patricia Chuey attended Canola Camp in Saskatoon five years ago and says the event “sets the bar with its great people, variety of learning opportunities and open dialogue.” Right: Cookbook author Raghavan Iyer became a big canola booster after seeing how much the yellow fields reminded him of mustard fields in his native India. The Minneapolis-based cookbook author and teacher was born and raised in India and was in his 40s before this canola field encounter. It happened at Canola Camp, a four-day edu-fun event the Canola Council of Canada hosts for chefs, media and food professionals. Canola oil became “real” to Iyer the moment he saw the crop in bloom. Indian chefs have used mustard oil for centuries, probably millennia. Mustard crops produce the same field of yellow as their canola cousins, but the oil has a zesty glucosinolate kick. Iyer prefers canola oil for frying because its milder flavour doesn’t overpower the flavours of cumin, cardamom, cloves, turmeric and chiles used in Indian cooking. “Canola is the perfect backdrop to spices,” he says. Few know that Brassica napus is thousands of years old, a cross between much older species B. rapa and B. oleracea. Some people on Iyer’s side of the food business have the impression that canola is a fabricated crop, developed through genetic modification. Few know that Brassica napus is thousands of years old, a cross between much older species B. rapa and B. oleracea. And that, through selective breeding (not genetic modification), Canadian researchers developed B. napus and B. rapa canola with low glucosinolates and low erucic acid characteristics. Rutabaga and Siberian kale are also B. napus. Cabbage, broccoli and cauliflower are B. oleracea. Turnip is B. rapa. Given the high health value these veggies carry, canola oil can’t help but benefit from this familial connection. “You need to tell people that canola is related to them,” Iyer said to Canola Digest at a Canola Eat Well event in Winnipeg in June. Manitoba Canola Growers and Alberta Canola Producers Commission hosted 100 dietitians at the Canola Eat Well promotion event at Richardson’s Kelburn Farm south of Winnipeg. Dietitians were in town for their Dietitians of Canada National Conference, so it seemed like an opportunity the organizations couldn’t pass up. “This event and our other Canola Eat Well promotion events are about growing our community, engaging with others, making new connections and enhancing the farm-to-food conversation while all having a canola connection – to health, farm and food,” says Ellen Pruden, education and promotions manager with Manitoba Canola Growers. The Canola Eat Well program runs a number of events through the year, focusing primarily on building canola oil awareness and market share in Ontario. All events include food, chefs and farmers presenting to groups of influencers on the food and consumer side of the business. The dietitians’ event in Winnipeg was their biggest yet. Attendees cycled through a few learning stations. At one station, Manitoba canola grower Curtis McRae showed what canola seeds look like and how to do a crush strip to check for green. At another, MCGA director Brian Chorney explained what sustainability means to him on his farm. There was, of course, lots to eat. During the Indian-themed supper, Iyer demonstrated how to cook the main course fish dish attendees were eating. 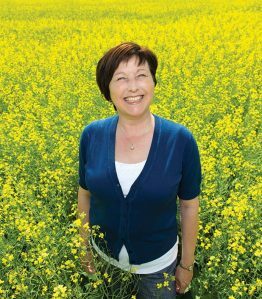 His on-stage sidekick was another Canola Camp alum, B.C.-based food blogger Patricia Chuey. She was impressed with the authenticity of Leftwich and the other canola farmers who participate in Canola Camp. “There couldn’t be any better ambassadors for canola farmers. They’re living the dream,” she says. Canola Eat Well leads Simone Demers Collins with Alberta Canola Producers Commission and Ellen Pruden with Manitoba Canola Growers answer four questions. What would you like canola growers to understand and appreciate about the work you do? Simone: Farmer levies pay for our programming, so we want them to know what we’re doing to maintain a high national market share for the product they grow. Much of what we do is influencing the influencers. Ellen: Canola Eat Well is about connecting our key target audiences to the culinary and health benefits of canola oil and to our farmers. We bring canola farmers to our events to be that touch-point person consumers and influencers can ask about food production, sustainability and biotech. What was the goal of the Dietitians of Canada event you hosted in Winnipeg in June? Simone: We wanted to connect dietitians with a positive canola oil message and with canola farmers. The experiential program also introduced them to new concepts – the understanding of spices and the variety of ways these may be used to enhance the flavour of foods – that could be of benefit in their career or personal life. Ellen: It was about growing our community, engaging with others, making new connections and growing the #farmtofood conversation, while all having a canola connection – to health, farm and food. How can you tell if you achieved that goal? Simone: The event was sold out, which is our first indication. It also created a lot of post-event buzz. Ellen: It was our largest event ever, with over 100 people in attendance. The metrics from social media were huge, with over 2 million impressions from the evening event through Twitter, Facebook and Instagram. How do provincial organizations share market development work with the Canola Council of Canada? Simone: The CCC focuses on market development work around the world and to a global audience through programs like Canola Camp. The provincial grower organizations focus on the Canadian market. Ellen: I see it as a partnership. The CCC was at the Dietitians of Canada Conference trade show, for example, engaging and reaching out to dietitians. The Canola Eat Well workshop was an “add on” to the Dietitians Conference, but we used Canola Camp alumni Raghavan Iyer and Patricia Chuey to help deliver the workshop and the canola message. The more opportunities to partner together, to grow the conversation, to share in resources, to grow the Canadian market, the better it is for our canola farmers. Given the success of the Canola Eat Well event at Dietitians of Canada 2016, Simone Demers Collins has already started planning for an event at the 2017 conference in Newfoundland. The aim with Canola Camp, says Shaunda Durance-Tod, is to develop canola ambassadors. Canola Camp is always in Saskatoon and always in July so people can marvel at the fields of yellow flowers. 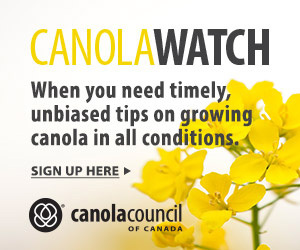 The Canola Council of Canada hosts the four-day camp through CanolaInfo, its global canola oil promotion program. Each year 12 to 15 food journalists, health professionals, chefs and cookbook authors attend, coming primarily from the U.S. but also Mexico, China and other major canola-consuming countries. Over the 18 years of Canola Camp, the CCC has hosted 199 influencers. Campers come together to learn about the health and culinary benefits of canola oil directly from growers and industry professionals. They also have a lot of fun, as Chuey described in the article. For example, Iyer now promotes canola oil in his cookbooks (find the titles at raghavaniyer.com). He also does TV appearances for CanolaInfo, appearing on over 25 U.S. TV stations. Jay Whetter is the editor of Canola Digest. He grew up on a farm in southwest Manitoba. He has worked in farm media for 20 years and has received quite a few farm journalism awards. Email him at whetterj@canolacouncil.org.